Here are the official 2011 trick-or-treating hours as set by the villages of DuPage County. Please note that some villages do not have mandated trick-or-treating hours, a link to more information has been provided when available. Young children should always have adult supervision when trick-or-treating. Costumes should always allow for a clear line-of-sight and not obscure vision. 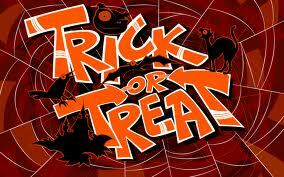 Be sure your trick-or-treaters are wearing reflective material and carrying a flashlight. This not only helps with their ability to see in the dark, but it also allows drivers to see them. When a house has its exterior lights off, they are not participating; move on to the next house. I’m guessing trick or treating is on Monday (Halloween)? Some cities do it on the weekend before, so I just wanted to clarify…? CK – Yep, all hours listed are for Halloween day.